Update: Motorola posted the following tweet earlier today, which indicates that the engraving feature is coming soon to Moto Maker. The custom engraving option was removed shortly before the device launch after being heavily promoted. We've known since launch that the Moto Maker customization tool for the Moto X wouldn't be an AT&T exclusive forever, and it looks like that period is just about to expire. 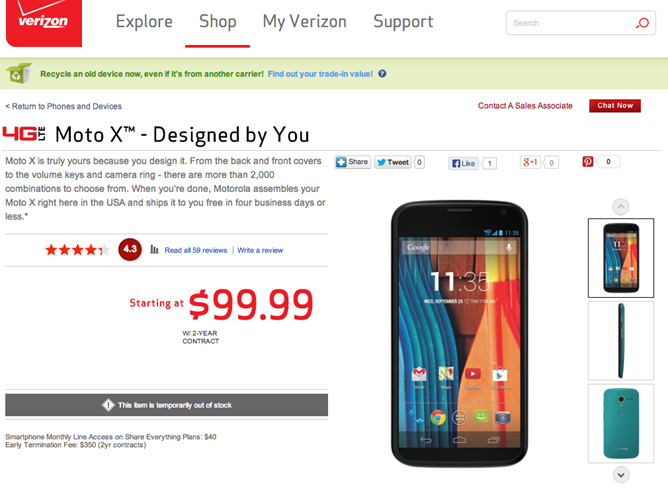 Droid Life spotted this placeholder page on Verizon's web store, which indicates that more colorful, customized versions of Motorola's new flagship will be coming to Verizon soon. The page appeared early on Sunday, but seems to have been taken down - the "moto x moto maker" URL now points to a generic landing page. 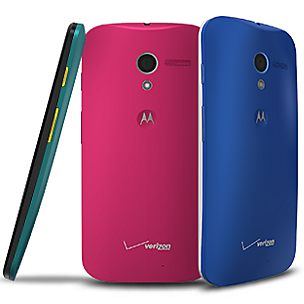 Evleaks indicated earlier this week that Moto Maker would soon be coming to both Verizon and T-Mobile models, both of which had previously been offered in only the basic black and white versions. Opening up Moto Maker at this point makes a lot of sense - the Moto X just got a $100 USD price drop across the board, and the phone itself is starting to be overshadowed by new releases like the LG G2, Nexus 5, and Galaxy Note 3. There's still no hard indication of when Moto Maker will expand beyond AT&T, though Droid Life is guessing tomorrow, and the 11-11 date has been anonymously leaked a few times for multiple carriers including Verizon and Sprint. Motorola has an event for the lower-priced Moto G scheduled for Wednesday, November 13th - that would seem to be a natural time for the company to mention any other big plans. Just a reminder for prospective Verizon Moto X users: the bootloader will almost certainly still be locked on Moto Maker versions, but the unsubsidized Developer Edition recently got the same $100 price drop. [Weekend Poll] Are You Using The Stock Android 4.4 Launcher On Your Nexus 5?